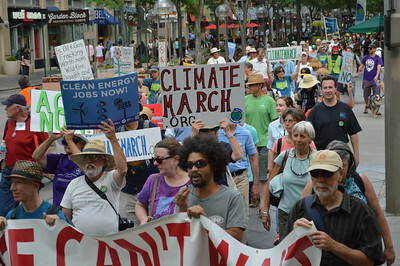 Images of cross country climate march from Los Angeles to Washington, DC. 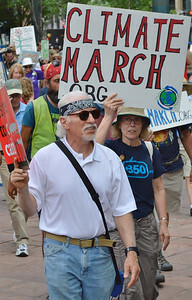 Includes images of marchers with signs and banners at rally, then marching through downtown Denver. 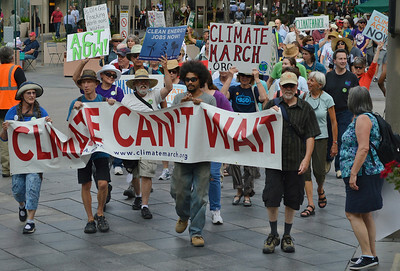 Group of marchers carry large climate change banner, large number of marchers behind them. 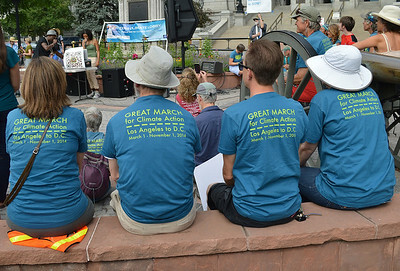 Four demonstrators wearing climate march t-shirts sit on stone bench, backs to the camera, other protesters in the nbackground. 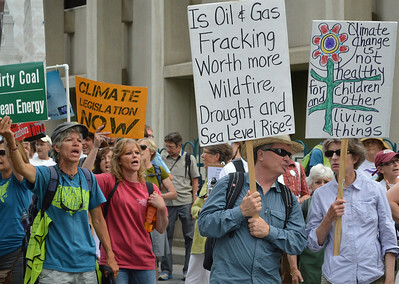 Large group of demonstrators holding signs about climate change, children, fracking, drought and wildfires. 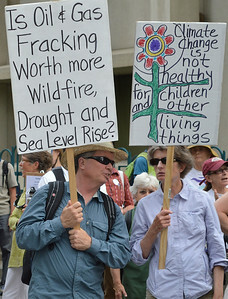 Man and woman holding signs about climate change, children, fracking, drought and wildfires. 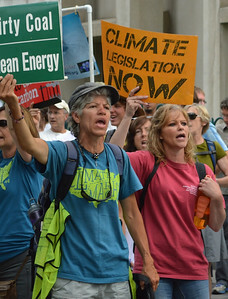 Two women raises signs about climate change and shout, other protesters behind them. 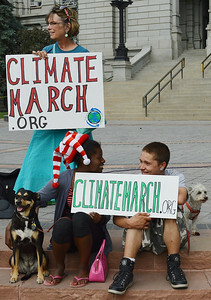 Two children sitting on step with climate march sign, 2 dogs sitting next to them, woman with sign stands behind them. 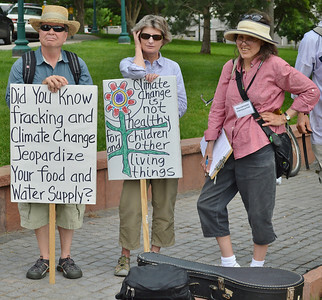 Climate change protesters holding signs about fracking and clean water, one holds a clipboard, guitar case on ground in front of them. 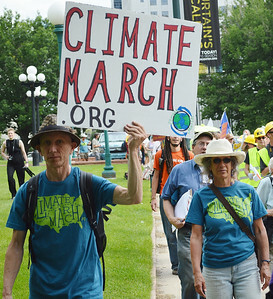 Man wearing climate march t-shirt raises sign in the air, other marchers in the background. 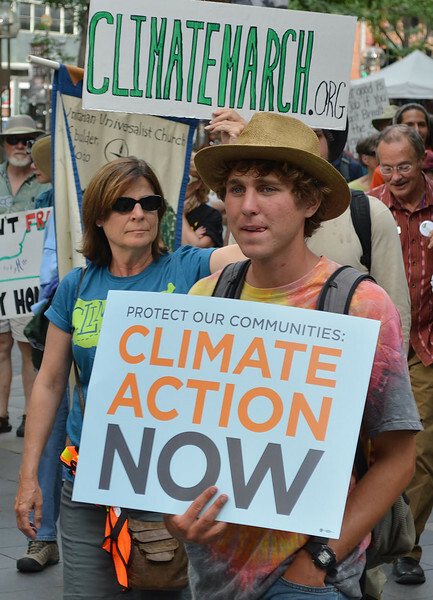 Young man wearing hat holding climate change sign, woman behind him raises climate march sign in the air, other marchers behind them. 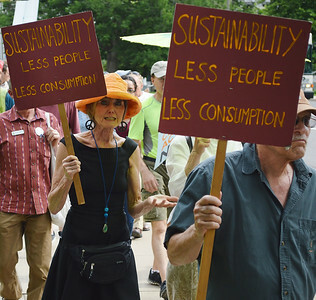 Senior woman marches with sign about sustainability, man next to her with same sign, other marchers in background. 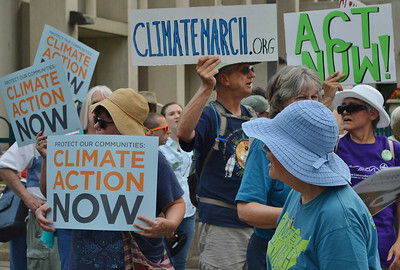 Climate change protesters including women in large floppy hats, holding signs above their heads. 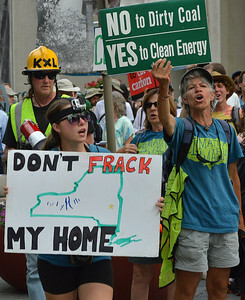 Two women raise signs at climate change protest, one with sign about coal and clean energy, the other with sign about fracking with map of New York state on it. Young man wearing t-shirt about GMO labeling carries sign about climate change and shouts, other protesters behind him. 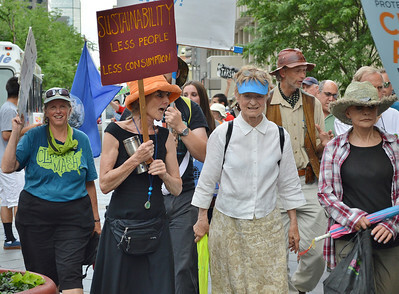 Senior woman marches with sign about sustainability, 2 other senior women beside her, other marchers with signs behind them. 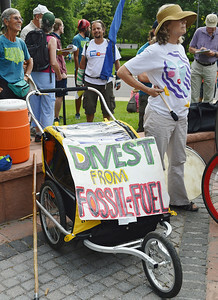 Three wheeled carriage with "divest From Fossil Fuels" sign on it, demonstrators in the background. 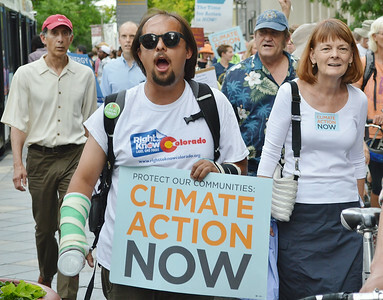 Woman raises sign above head about climate change, other protesters around her. 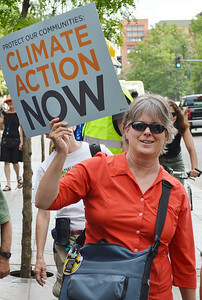 Woman in bright orange shirt raises sign about climate change. 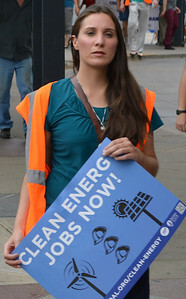 Young woman holds sign about clean energy and jobs. Man wearing camouflage hat, back to the camera, holds sign about climate change with picture of the earth on it.